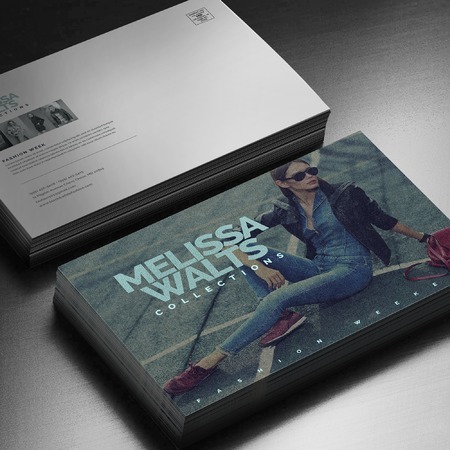 You can readily utilize the reach and power of velvet postcard printing as part of your campaign. Whether you're a local restaurant or established retailer looking to increase floor or website traffic, a personalized postcard will immediately capture a potential or loyal customer's attention. Studies have shown that more than half of consumers welcome mail from their preferred brands. One touch of our velvet postcards will instantly grab your customer’s attention. The surface has a rich texture that adds to the experience of the printed design. Velvet is another term used to describe the feel of suede business cards. It is wrong to compare velvet vs. suede as both refer to the soft, luxurious feel of the printed surface. Our velvet postcard printing service ensures every part of the design comes out in full detail. You can recreate the feel of a calm, sky background or highlight your brand’s particular colors on the design with our soft velvet lamination. This coating also increases the postcard's thickness from 16 pt. to 19 pt. We also offer spot UV printing technology to complement the luxurious feel of your velvet soft touch postcard. Spot UV can highlight your logo or website address with a smooth yet textured and glossy, premium finish. It elevates the rest of the suede texture on the design, strengthening the premium touch to the postcard. Choose between having spot UV on the front or both sides of the card. Our size ranges provide enough space for your promotional announcement. Deliver a batch of velvet 4" x 6" postcards or go big with 6" x 11". All printed velvet cards arrive cut according to size and sealed in a box. Upload your ready made design or start postcards with our online tool today.